Eddie Pasquarello joined Industrial Light & Magic in November of 1993 as a Compositor working on the film, Forrest Gump. In 1999, he became a Lead Compositor on Sleepy Hollow. Previously, he served as Co-Visual Effects Supervisor on Guillermo del Toro’s sci-fi epic, Pacific Rim, Associate Visual Effects Supervisor and Compositing Supervisor on J.J. Abram’s Star Trek, and compositing supervisor on James Cameron’s blockbuster science fiction epic, Avatar. His latest credits include serving as a Visual Effects Supervisor on Brad Bird’s 2015 futuristic adventure tale, Tomorrowland. 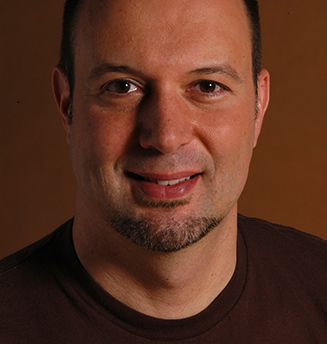 Prior to ILM, Pasquarello worked for Disney as a digital compositor on various projects for Florida Animation and The Disney Channel, including The New Mickey Mouse Club. Originally from Woburn, Massachusetts, Pasquarello graduated from Suffolk University in Boston with a B.S. degree in Mass Communications/Advertising with a minor in Journalism.